It’s no secret that America loves its entertainment, from movies to music to video games. Just how much do they spend on these things every year? According to the United States Bureau of Labor Statics, the average annual expenditures during this period were $50,486. Northeast spending was $54,918, Midwest spending was $47,846, Southern spending was $46,823 and Western spending was $55,453. 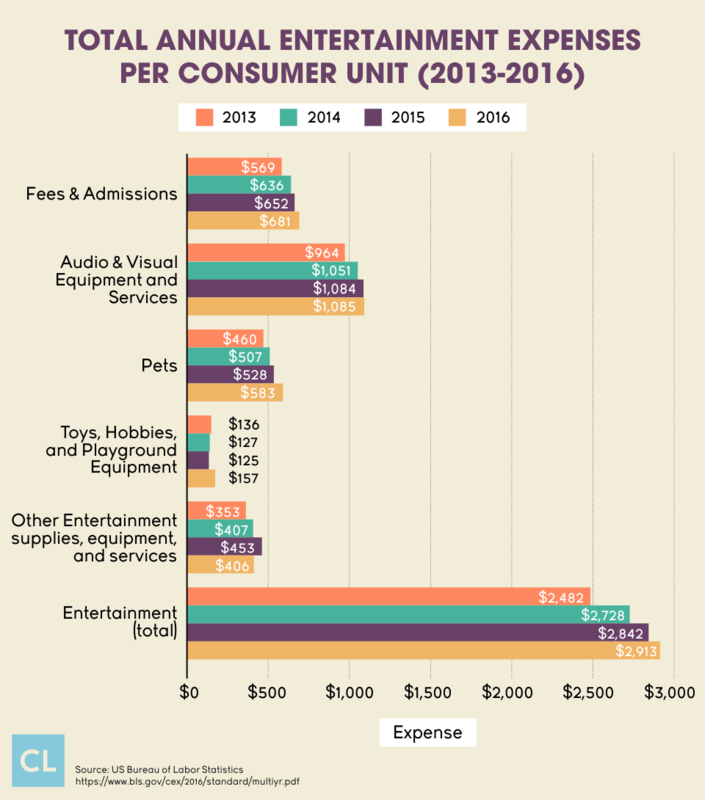 Entertainment costs included audio and visual equipment and services; pets, toys, hobbies and playground equipment; fees and admissions; and other entertainment spending. 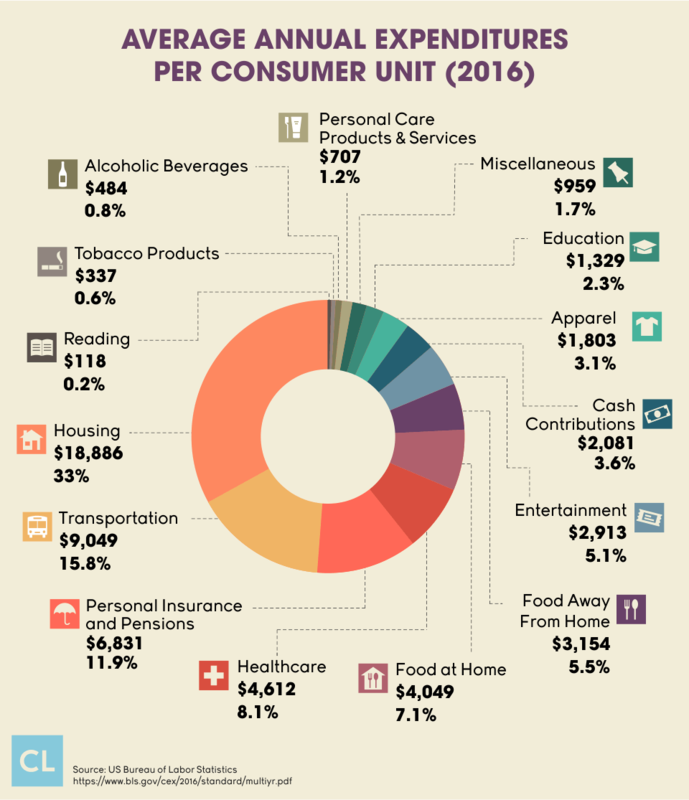 Total U.S. consumer units were 120,770,000 with an average annual before-tax income of $63,563 and average annual expenditures of $50,486. Average annual before-tax income in the West was $68,031 before taxes and average annual expenditures were $26,941. Average annual before-tax income in the Midwest was $61,063 before taxes and average annual expenditures were $27,786. Average annual before-tax income in the Northeast was $70,436 before taxes and average annual expenditures were $22,348. Average annual before-tax income in the South was $58,881 before taxes and average annual expenditures were $43,696. 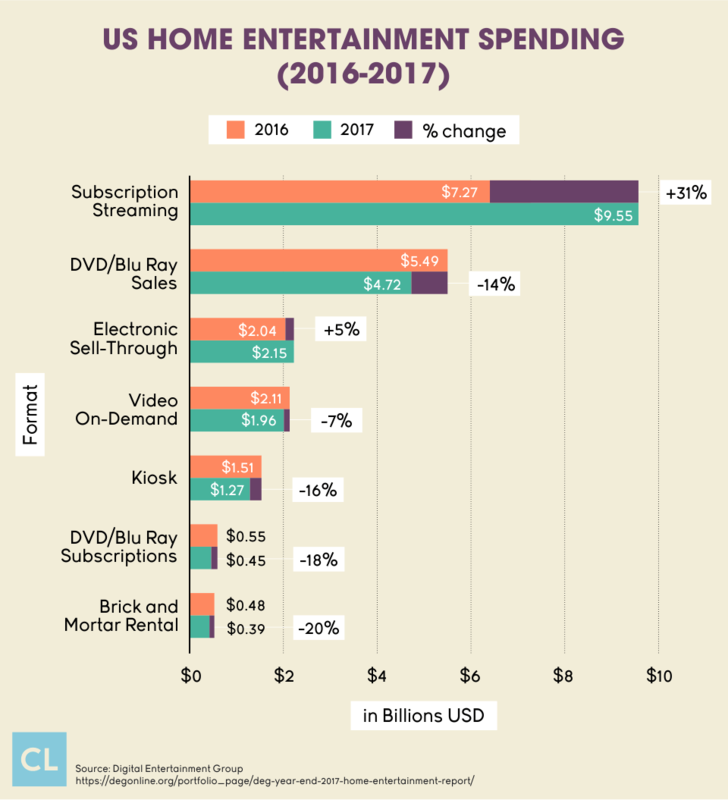 Consumers have cut back their overall out-of-town entertainment spending and have found many at-home entertainment replacements. 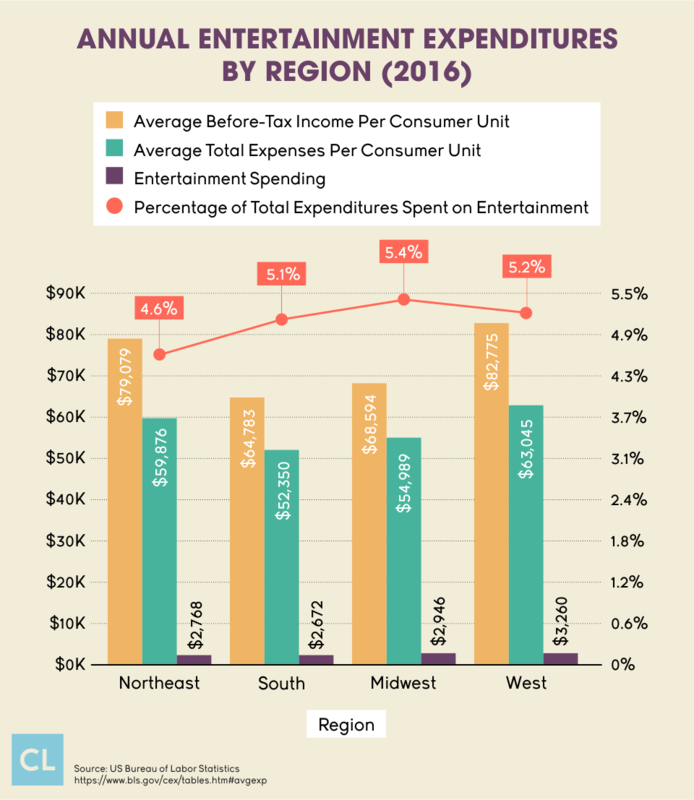 Community-based and affordable entertainment options, including movies, museums and family entertainment centers (FECs) are faring better than extreme entertainment and major tourist destinations, due to the staycation phenomenon.